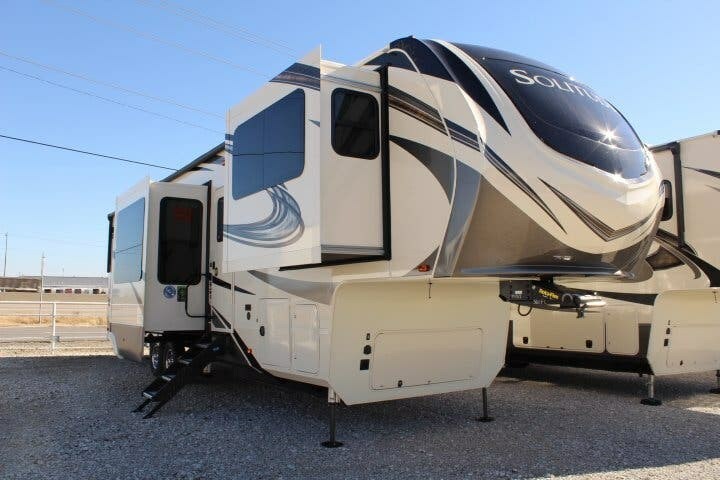 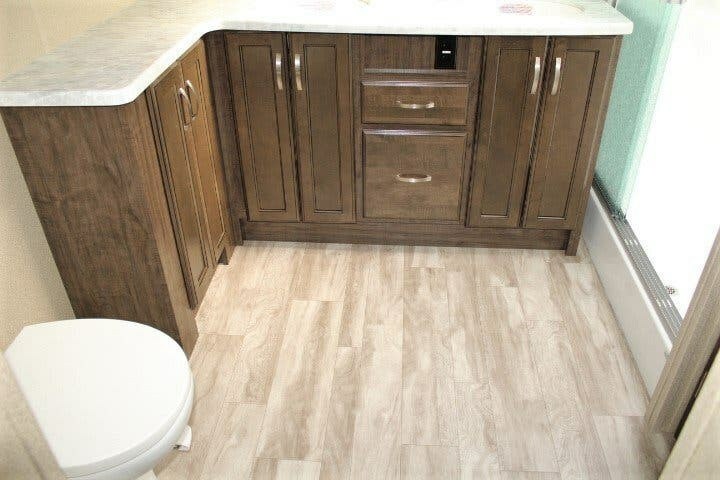 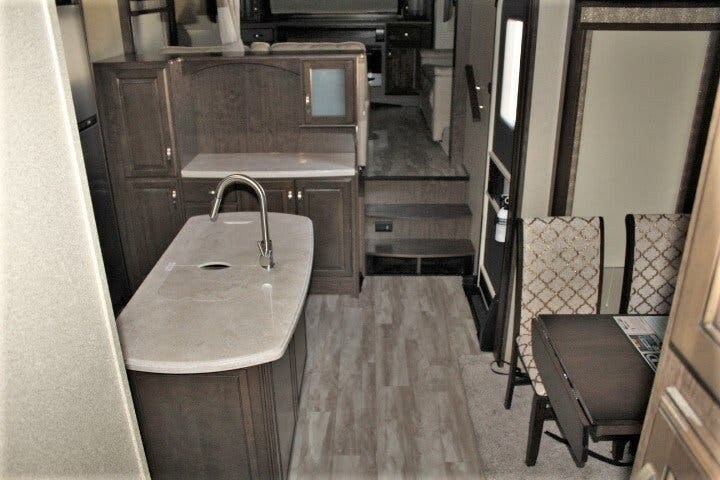 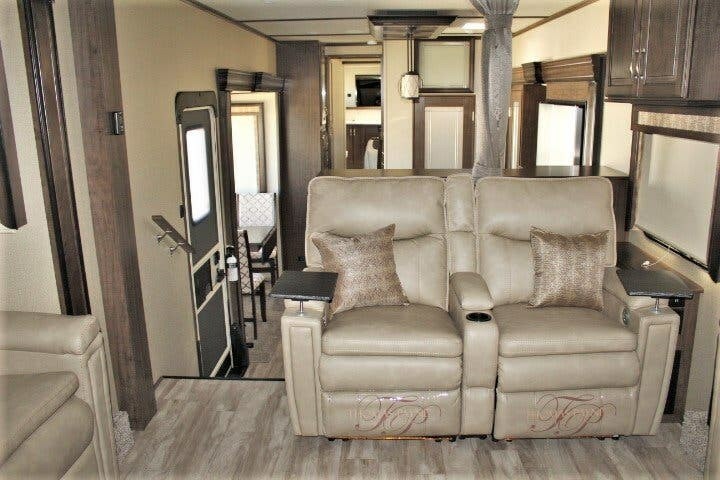 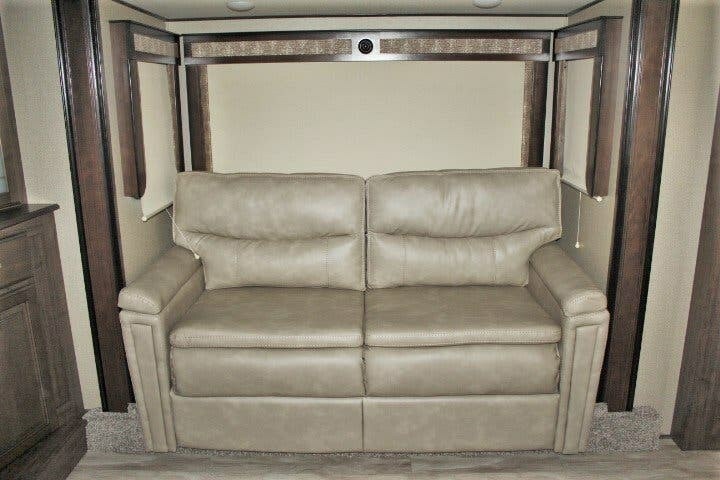 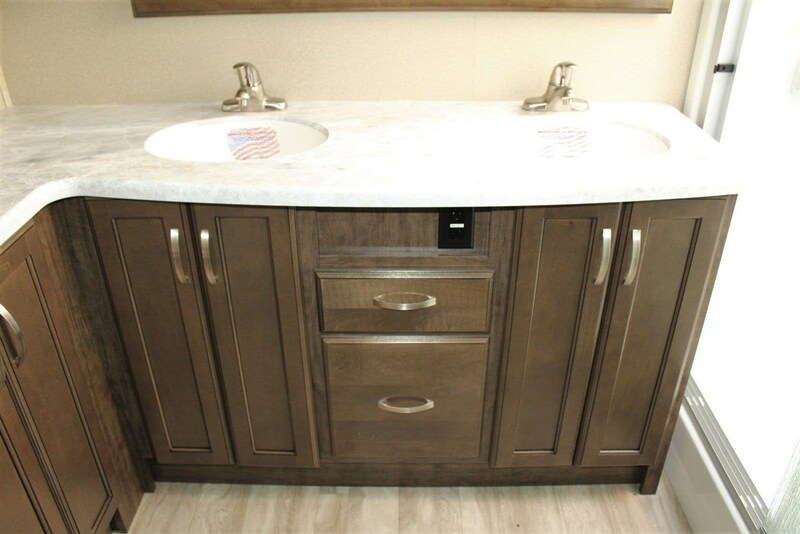 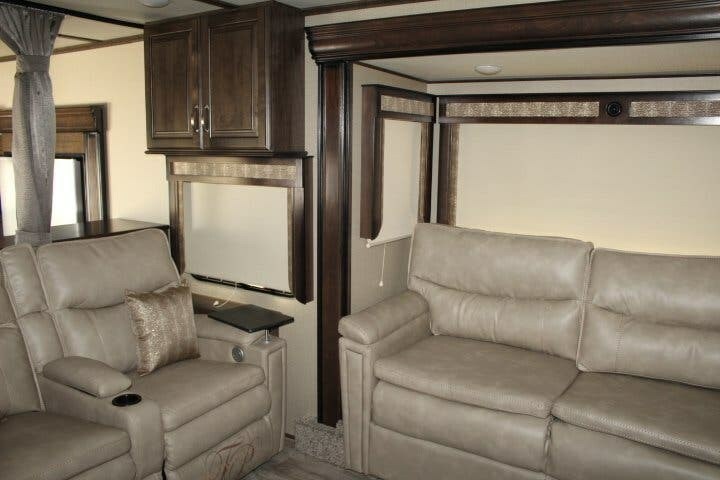 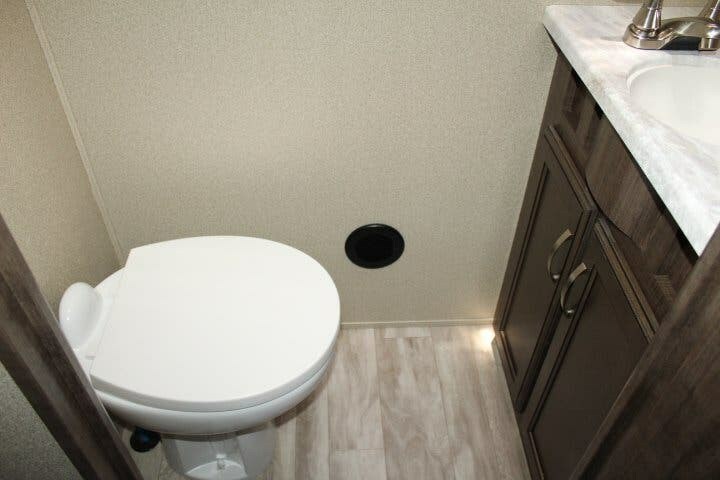 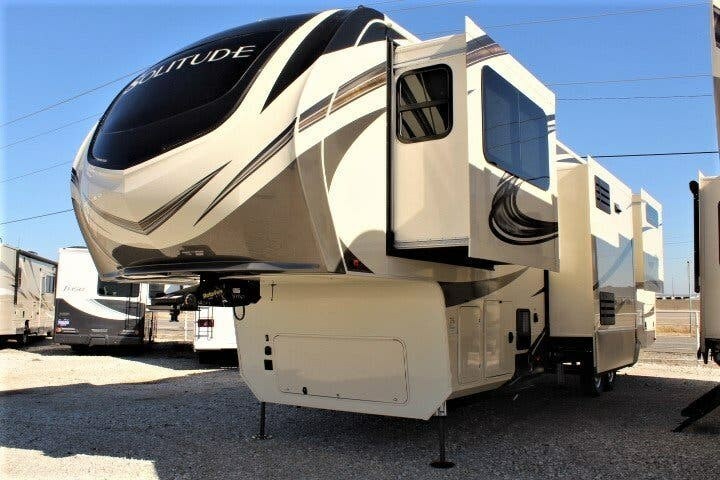 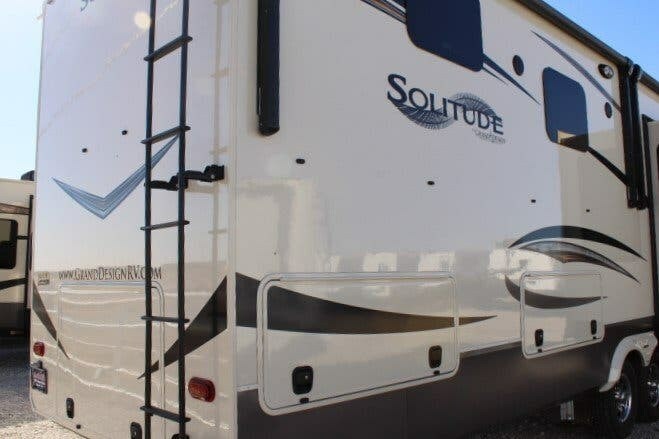 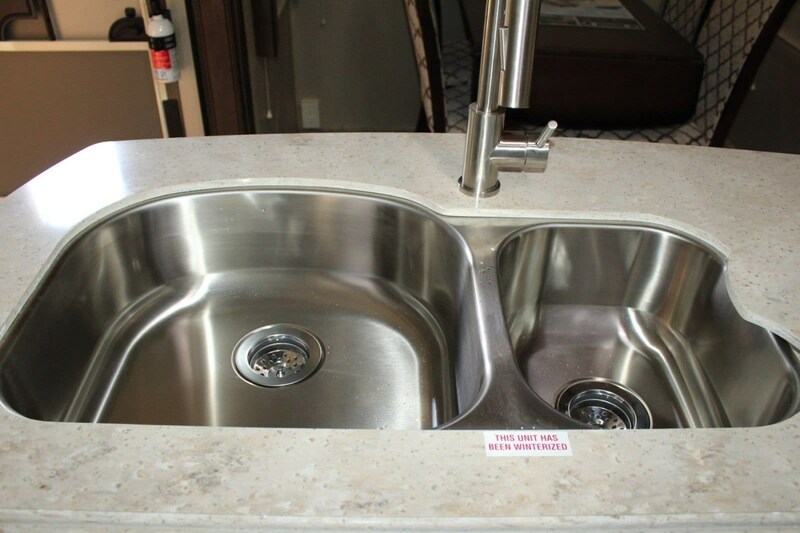 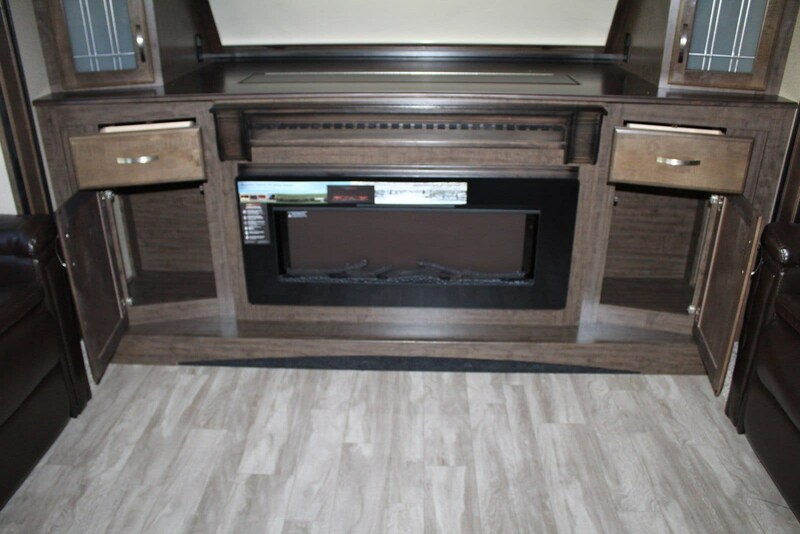 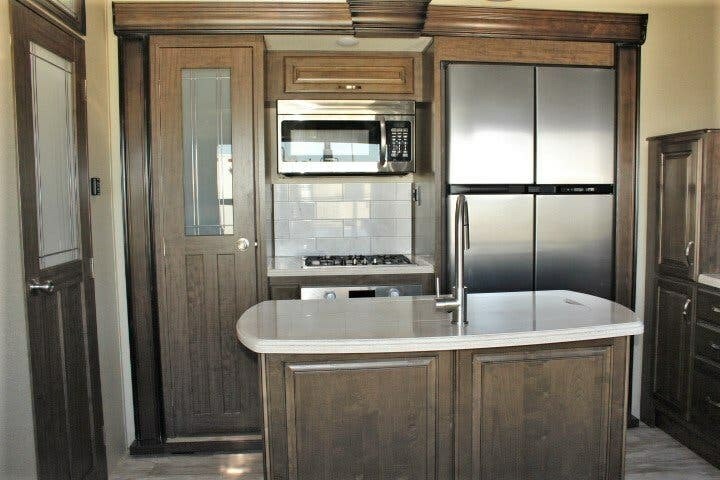 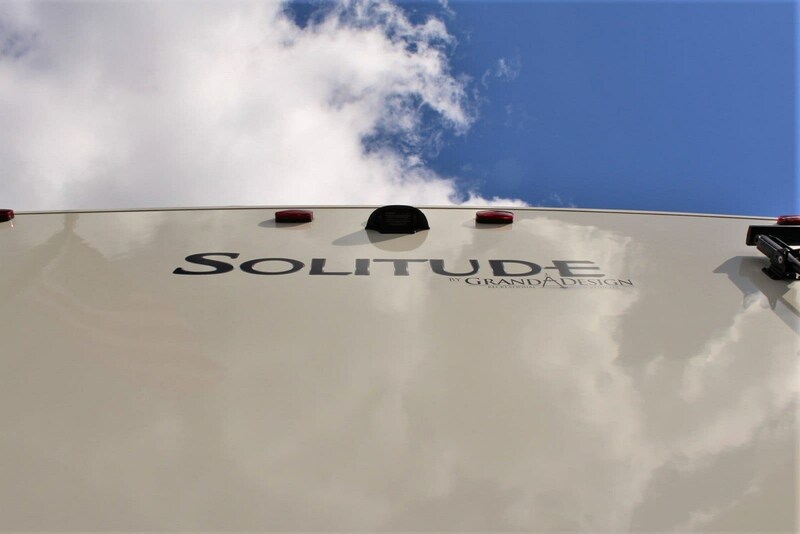 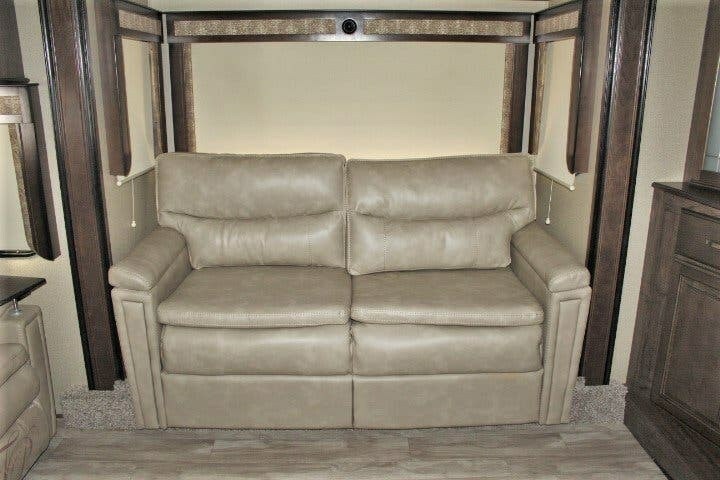 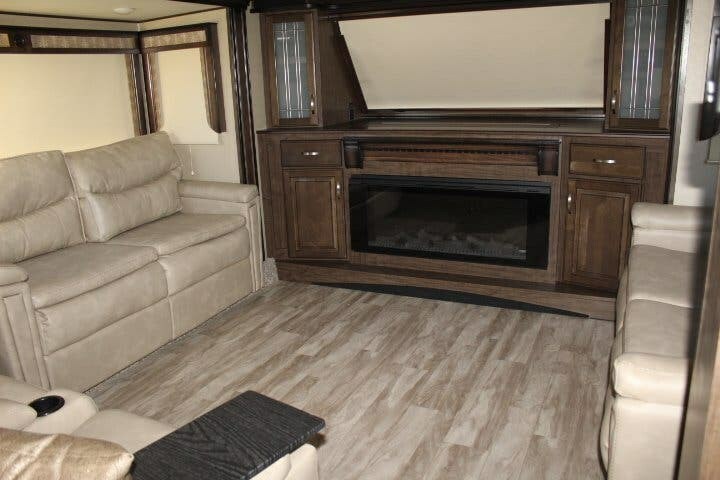 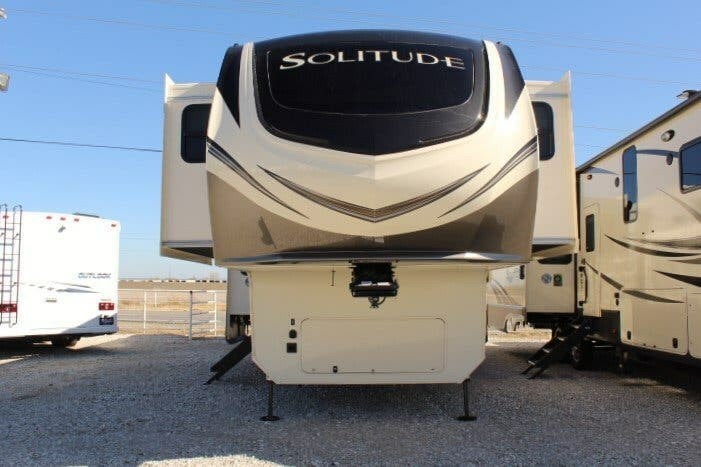 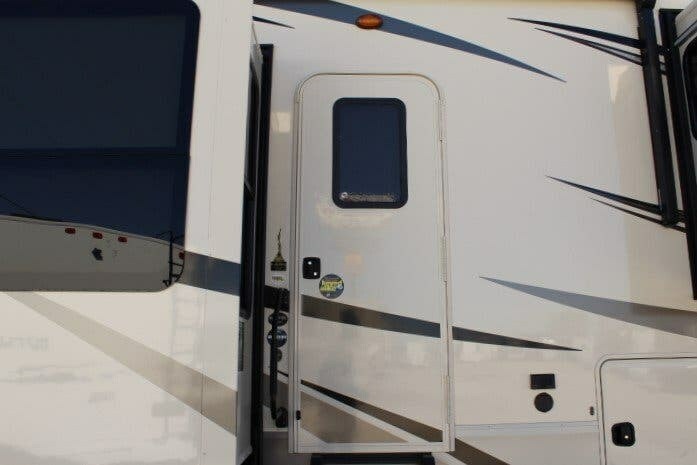 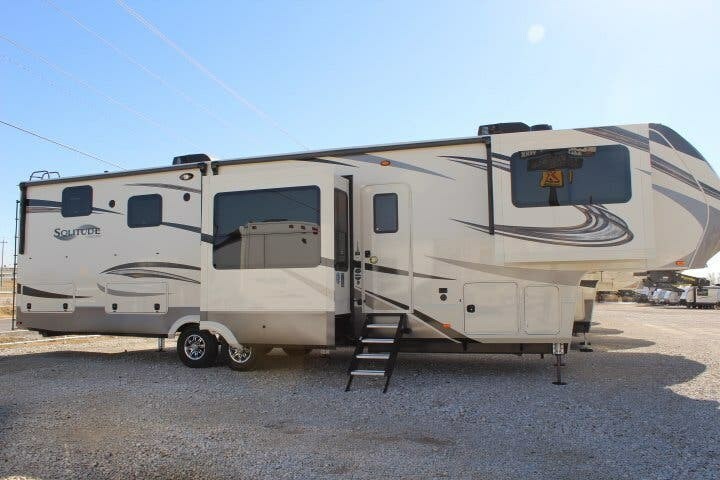 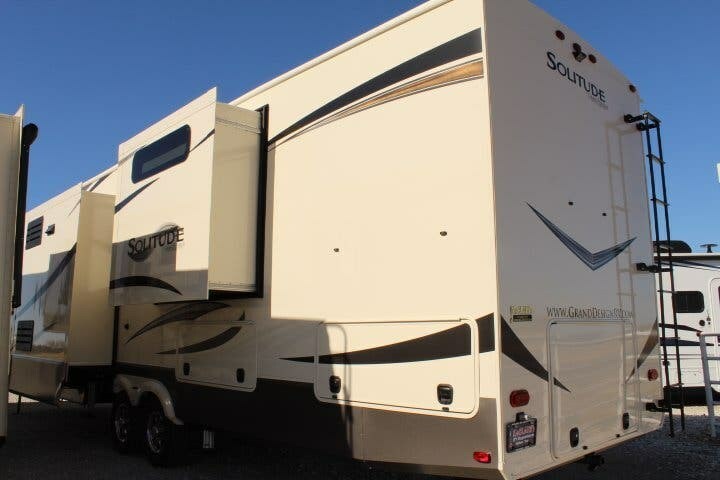 This Solitude 380FL by Grand Design is all you need to full time in style and comfort! 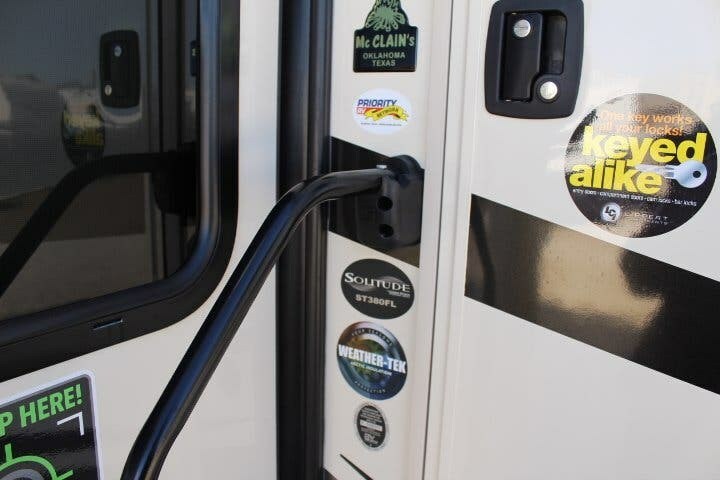 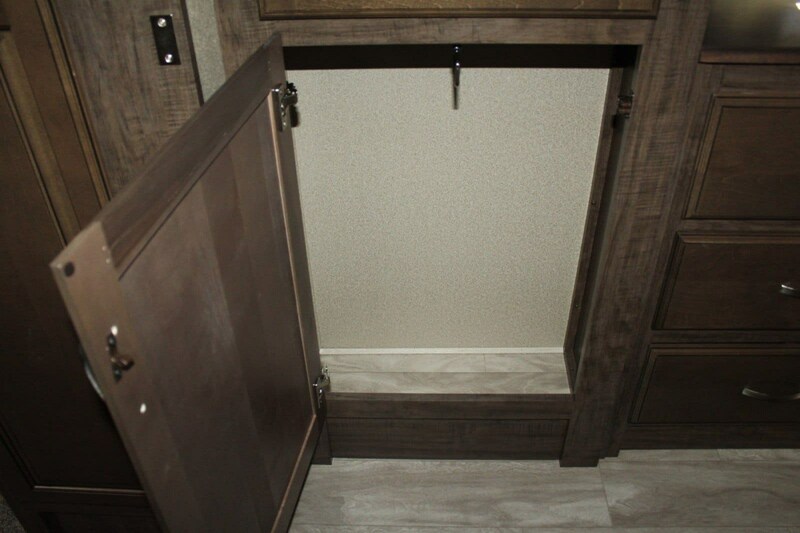 With features such as FIVE slides, front living layout, and a bath and a half you won't want to look any further!Step inside the entry door and you will see the living area at the very front. 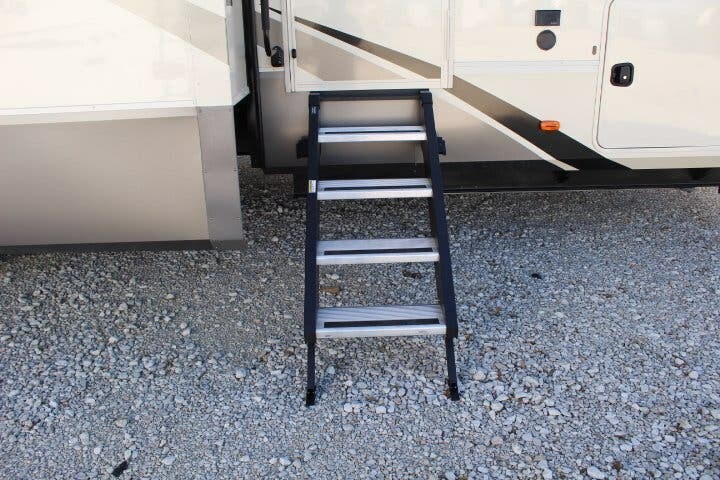 Go up two steps and relax anywhere! 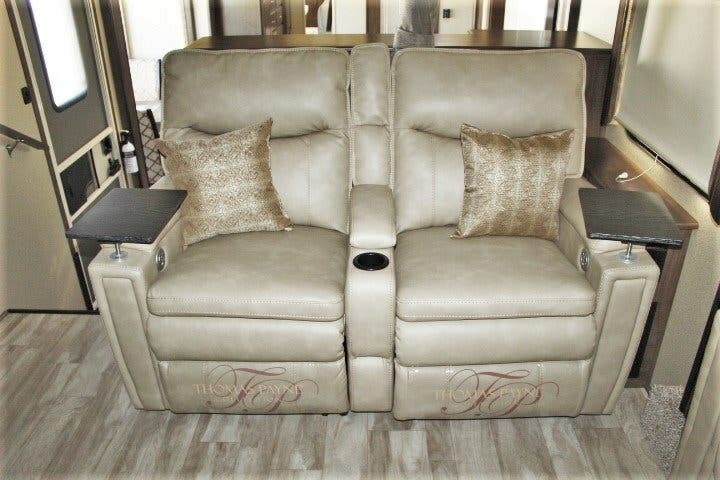 There is theatre seating along an interior wall and Tri-Fold sofas opposite each other in opposing slides! 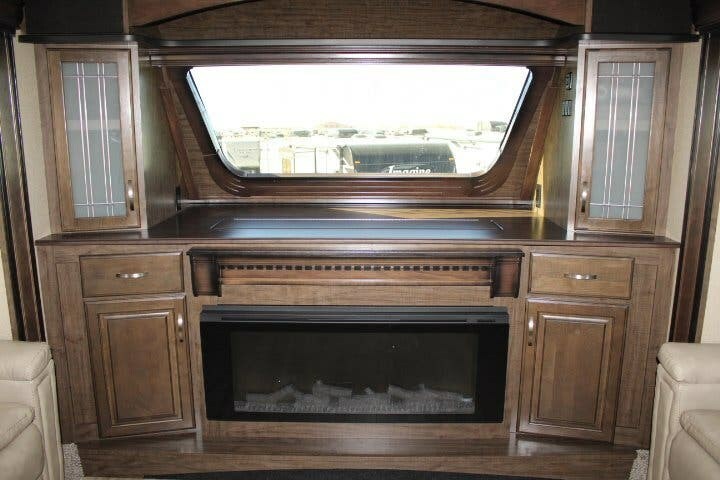 Along the front wall is the entertainment center complete with fireplace.The middle of this camper is the spacious kitchen. 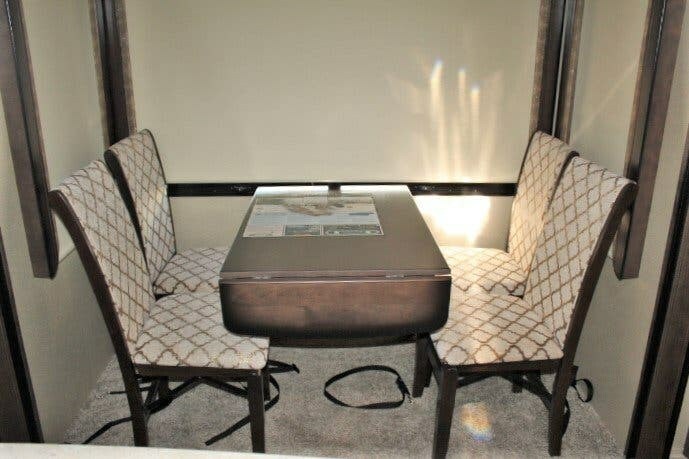 The free standing dinette and chairs are in slide beside the door. 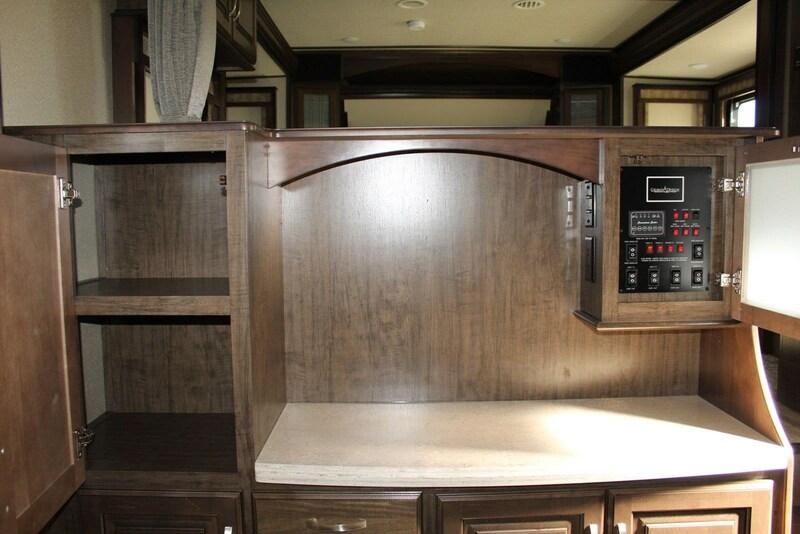 In the roadside slide there is the pantry, overhead microwave, three burner stove, oven, and refrigerator! 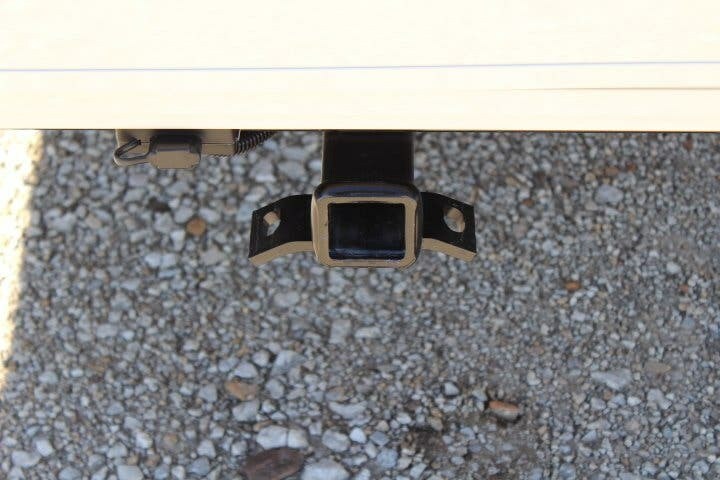 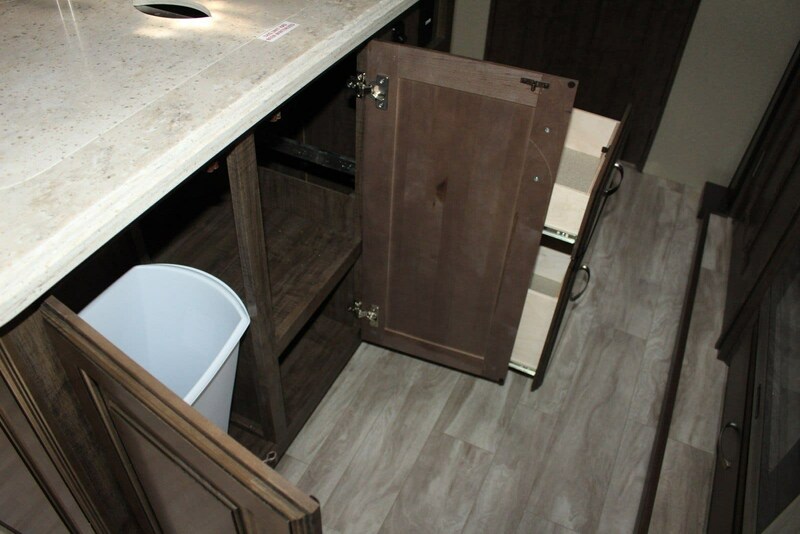 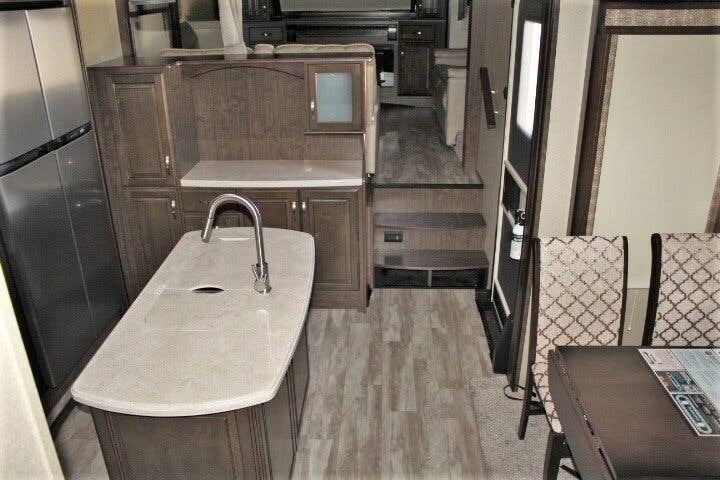 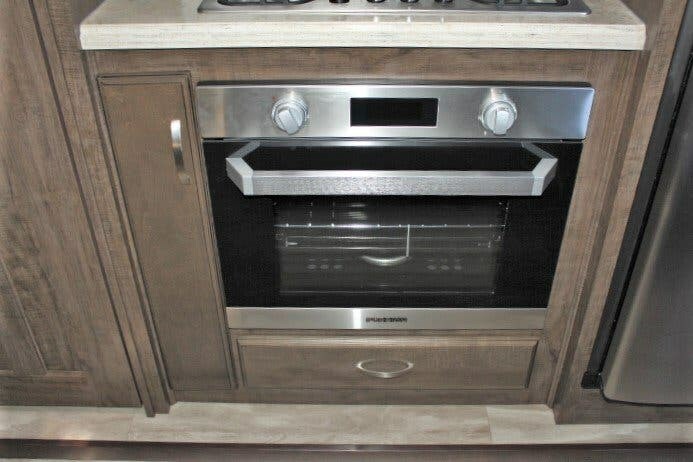 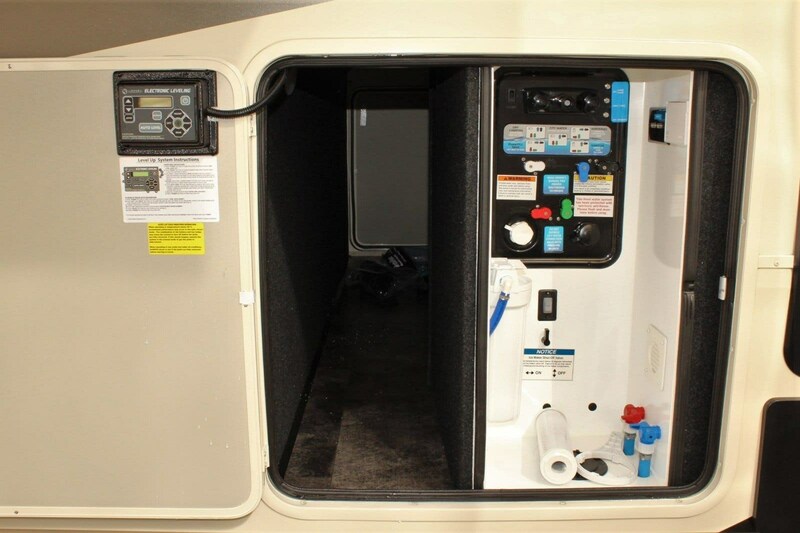 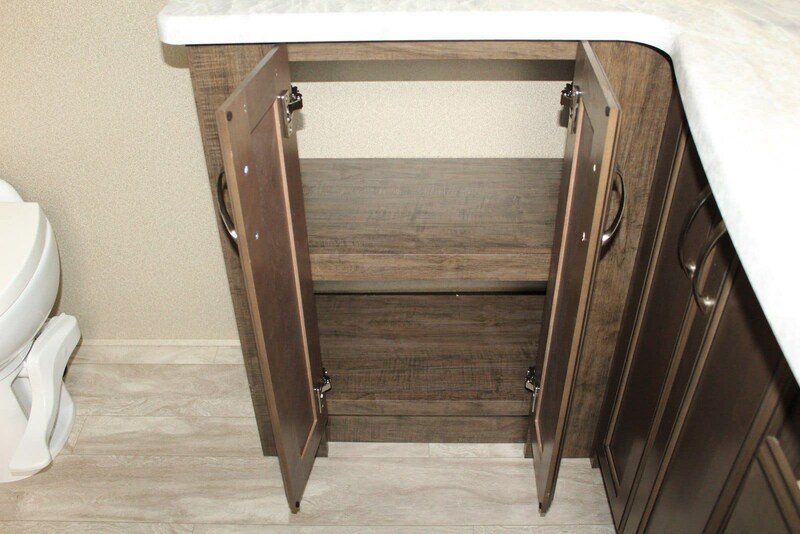 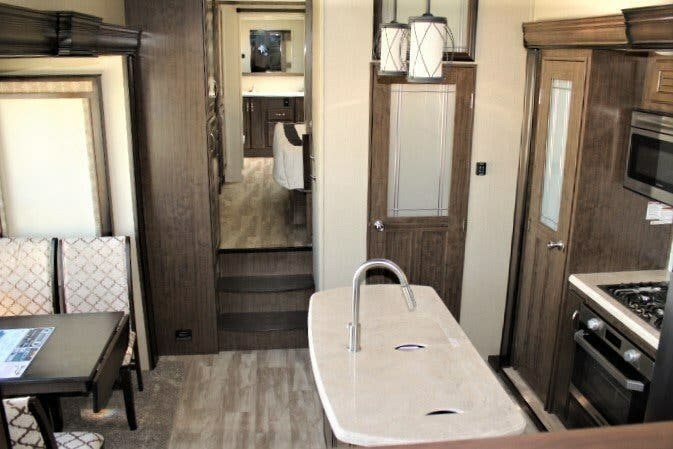 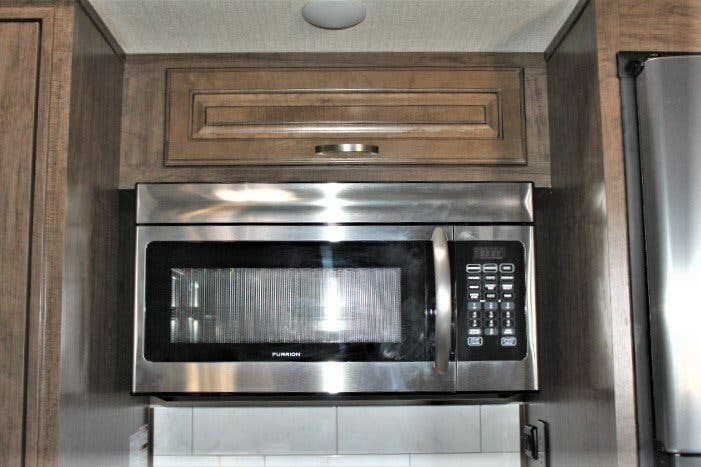 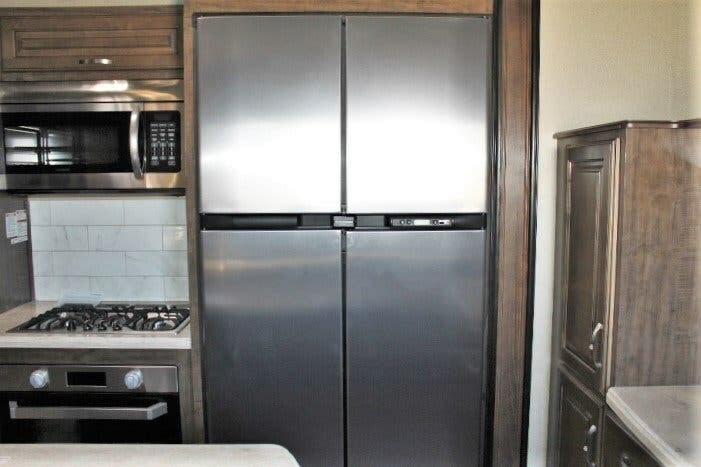 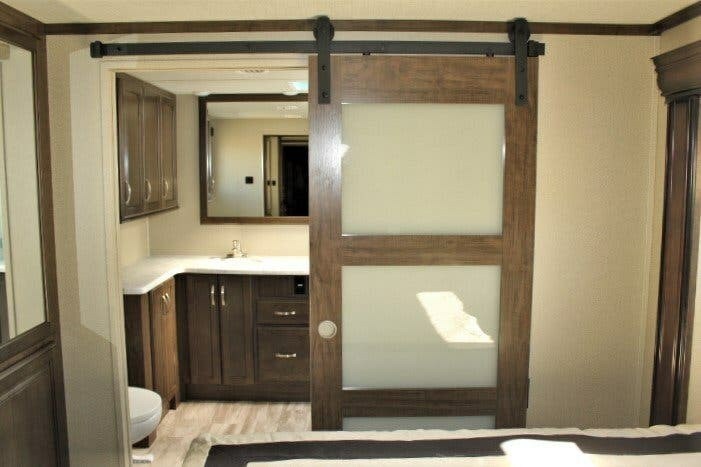 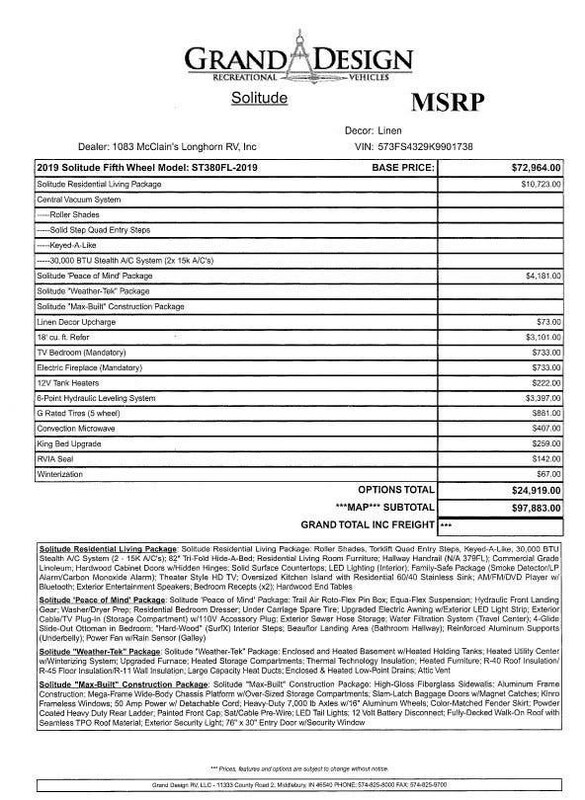 On one end of the kitchen there is a hutch and the other end is the bath and a half.Go towards the back of this camper and you will walk right into the private master bedroom. 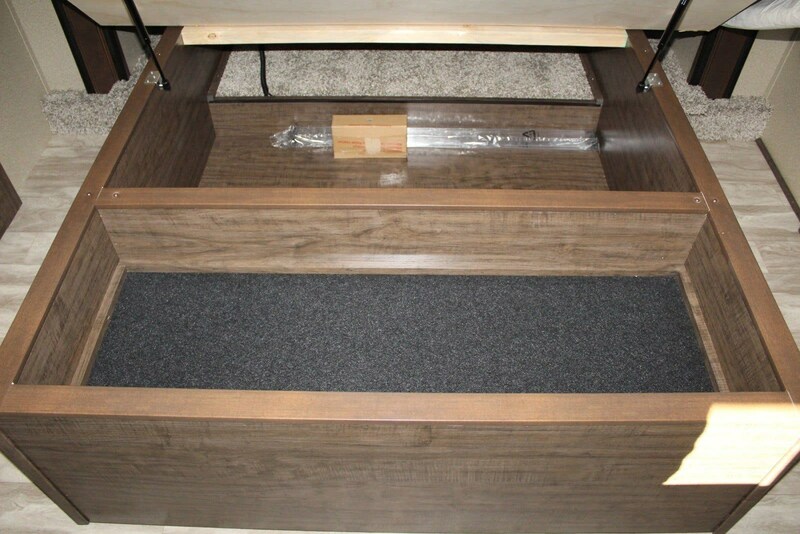 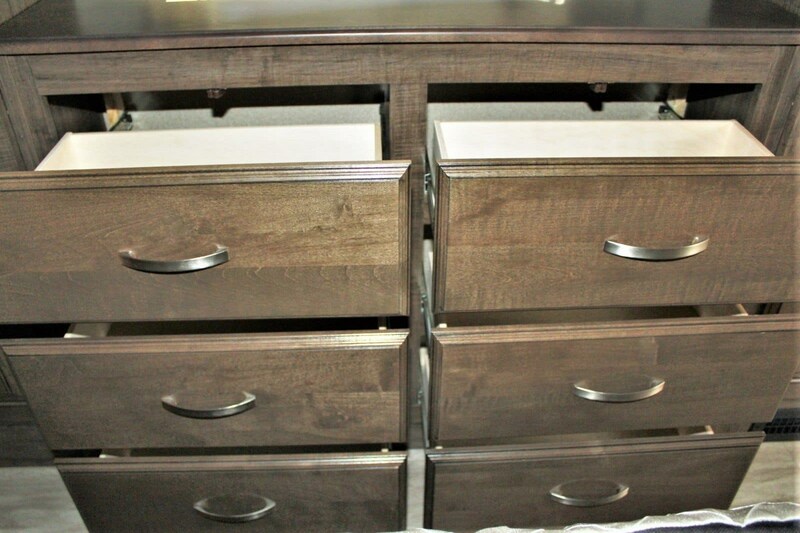 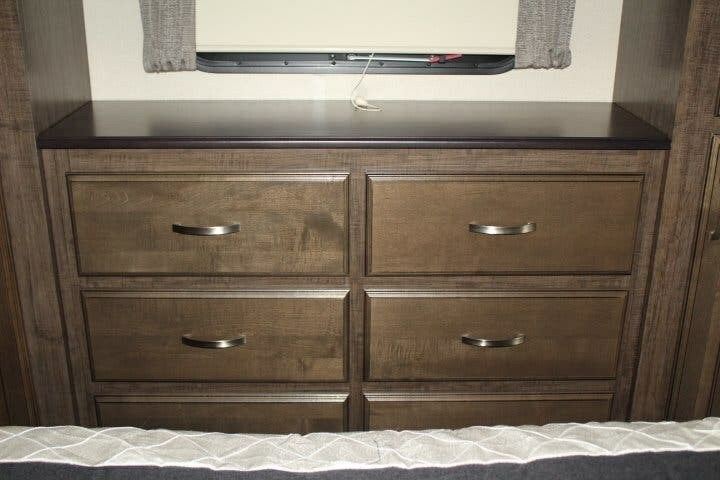 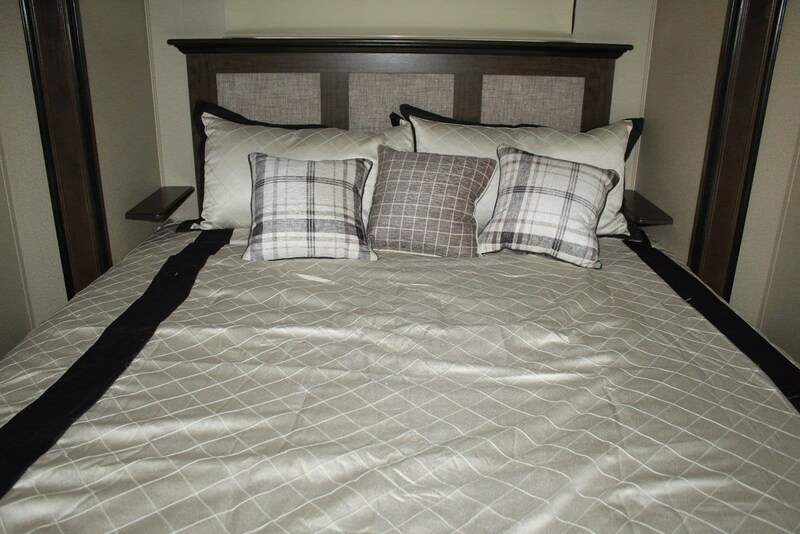 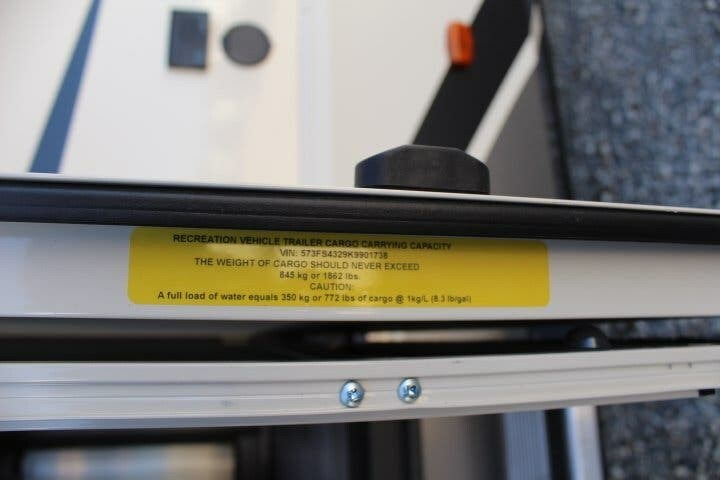 The 60*80 Queen bed or optional upgrade of King bed, will give you a good nights sleep. 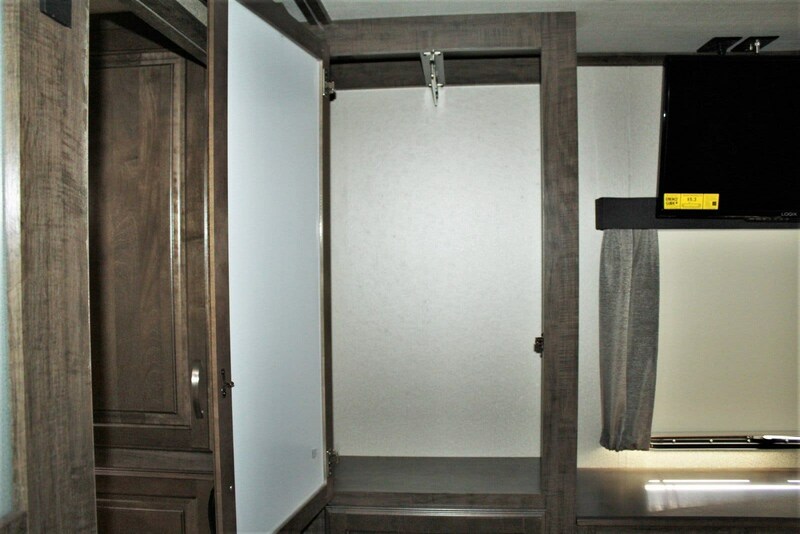 Across from the bed is the LED TV and wardrobe closets. 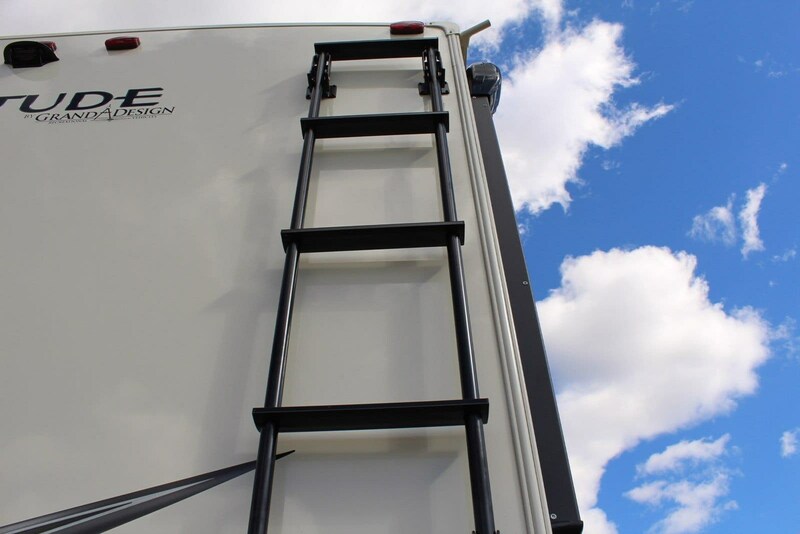 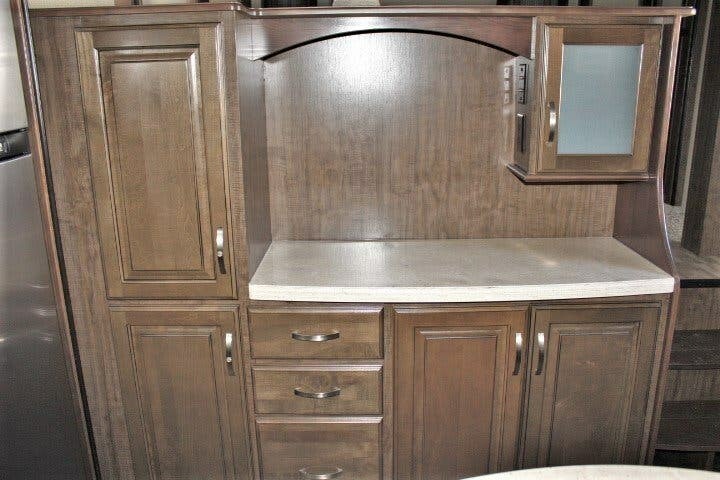 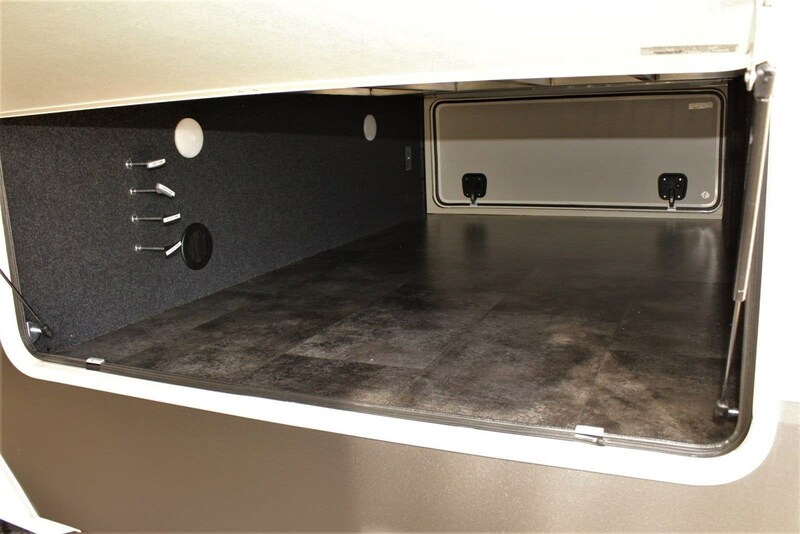 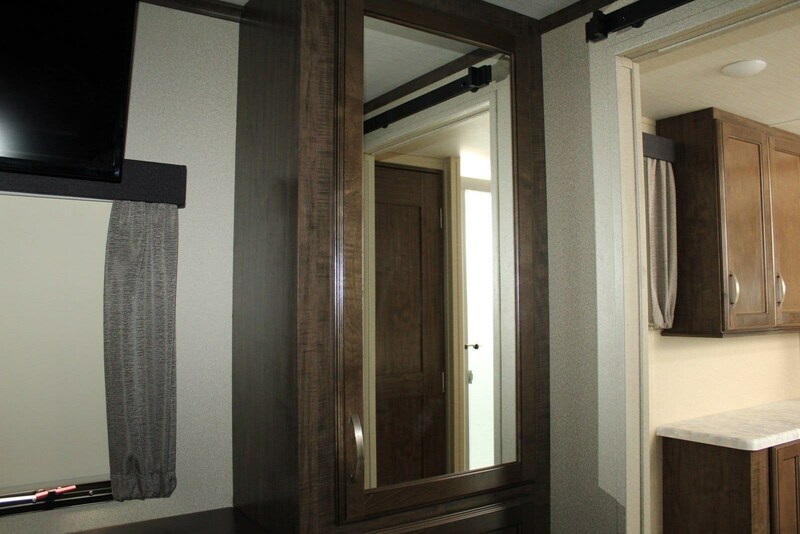 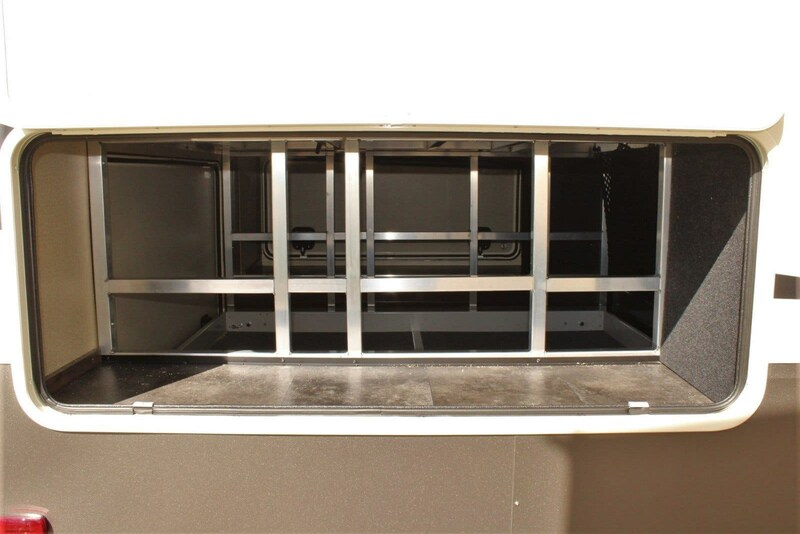 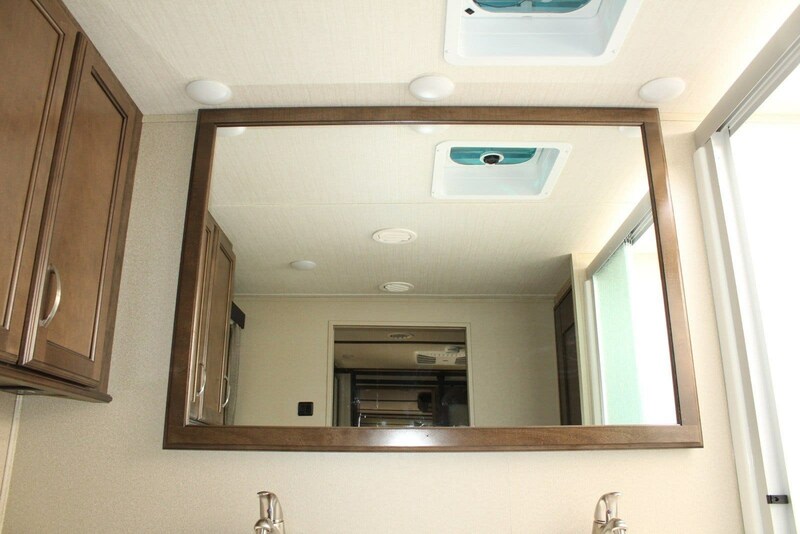 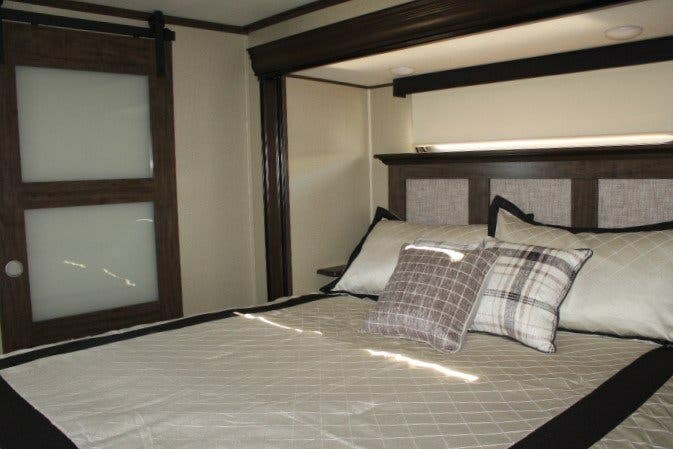 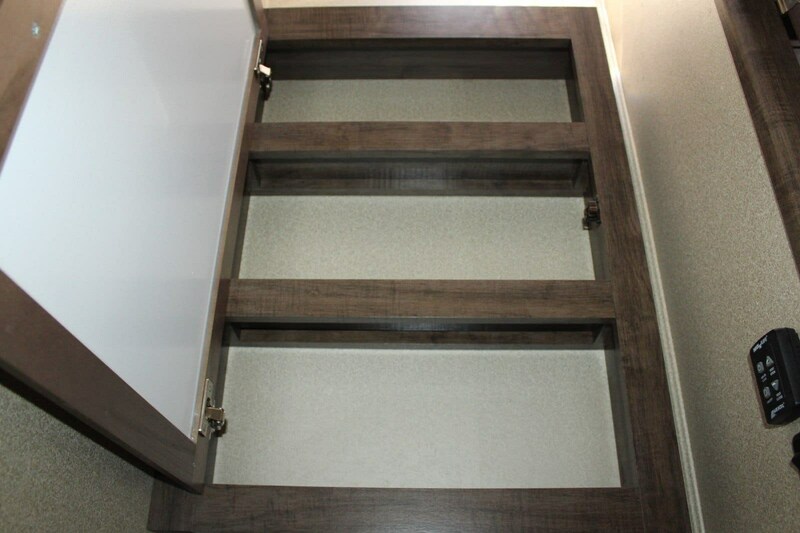 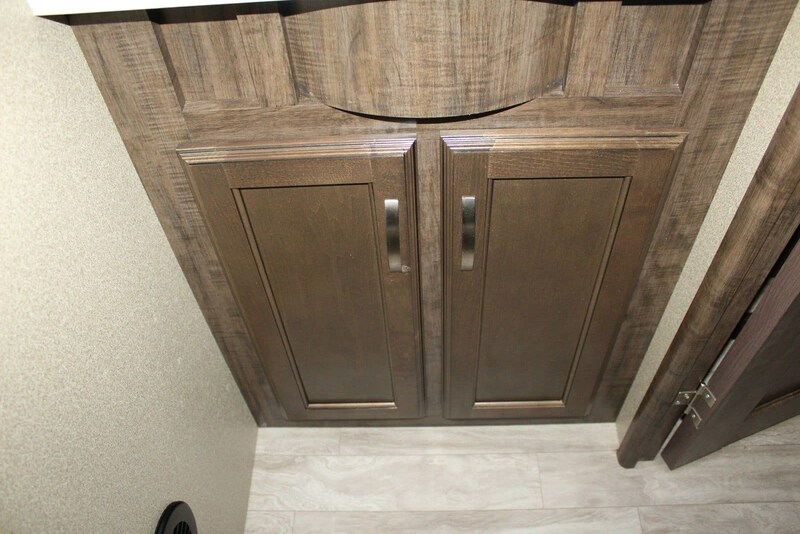 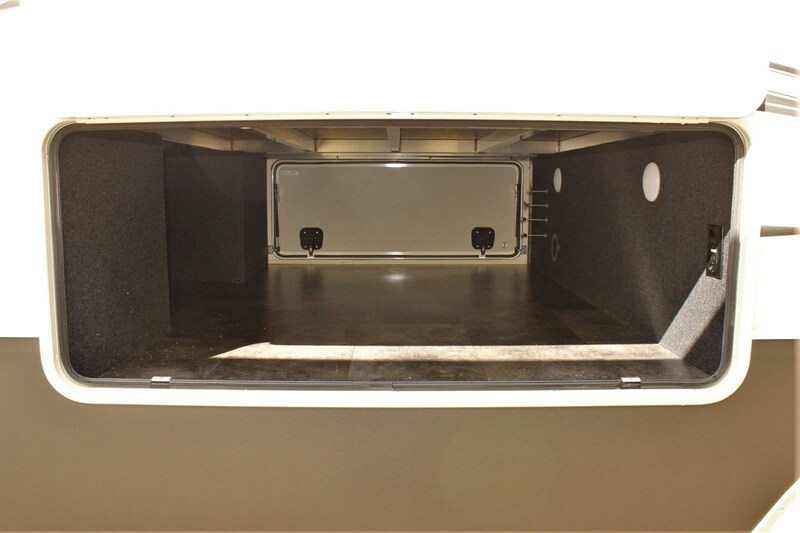 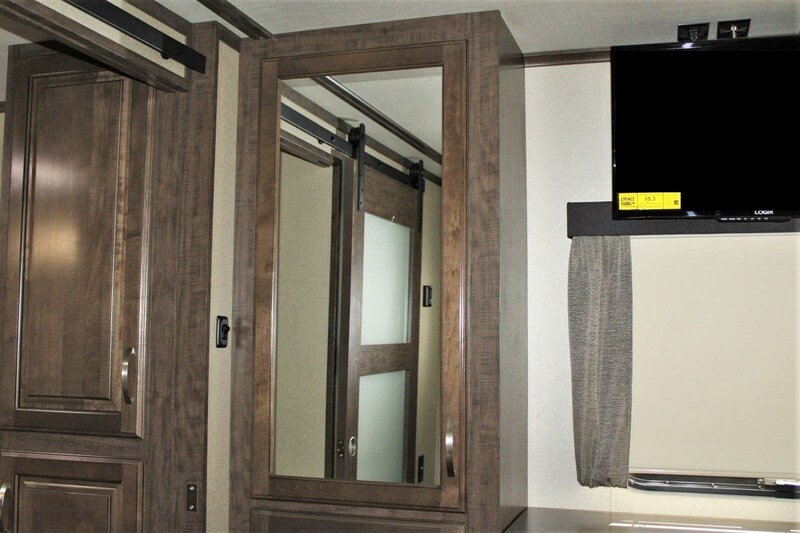 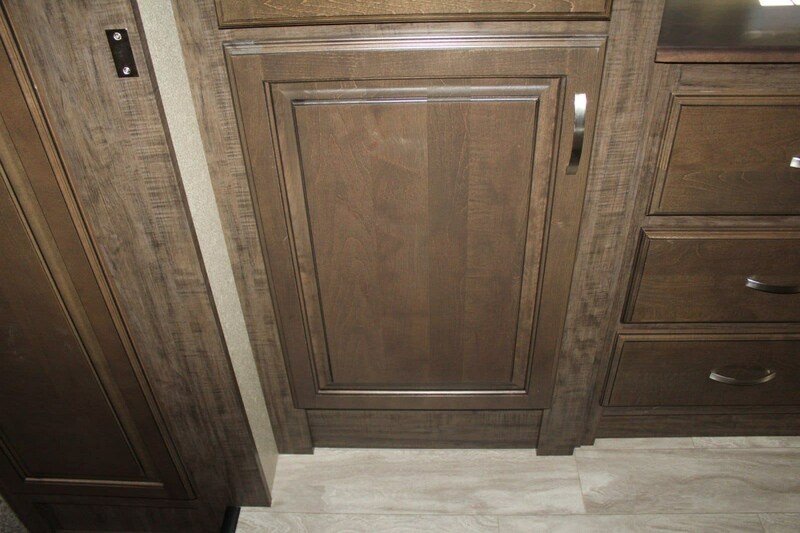 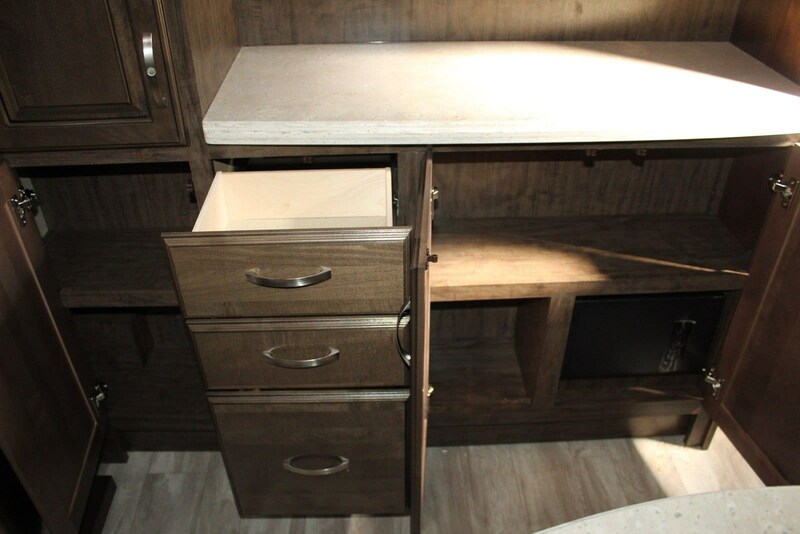 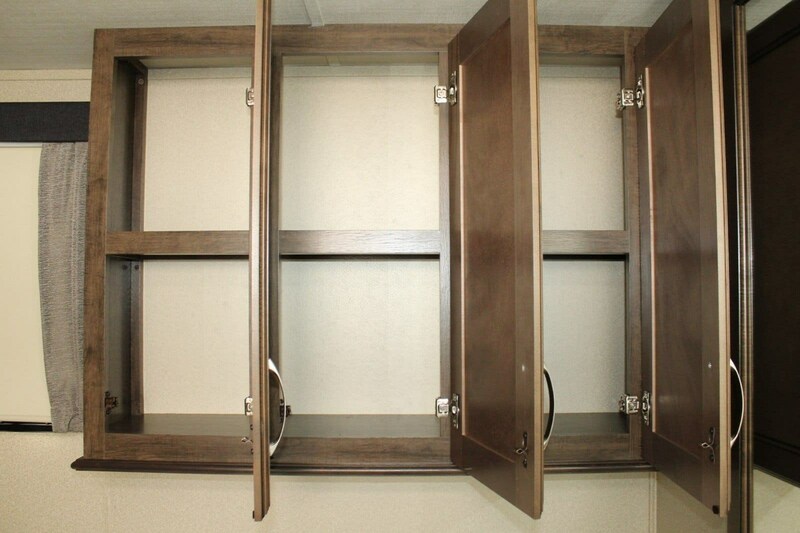 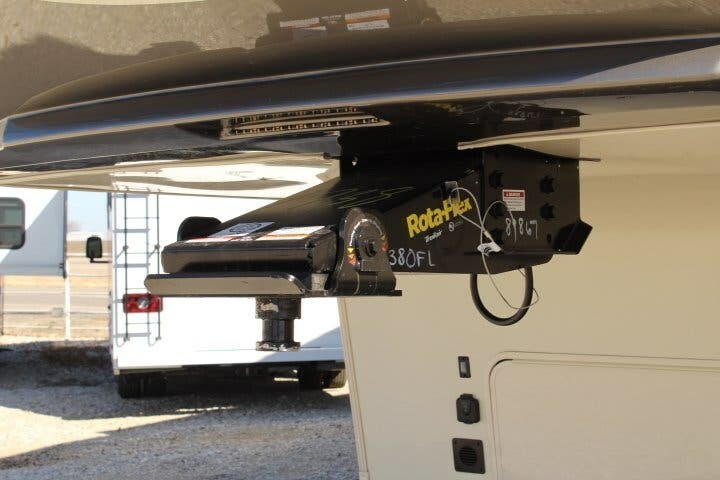 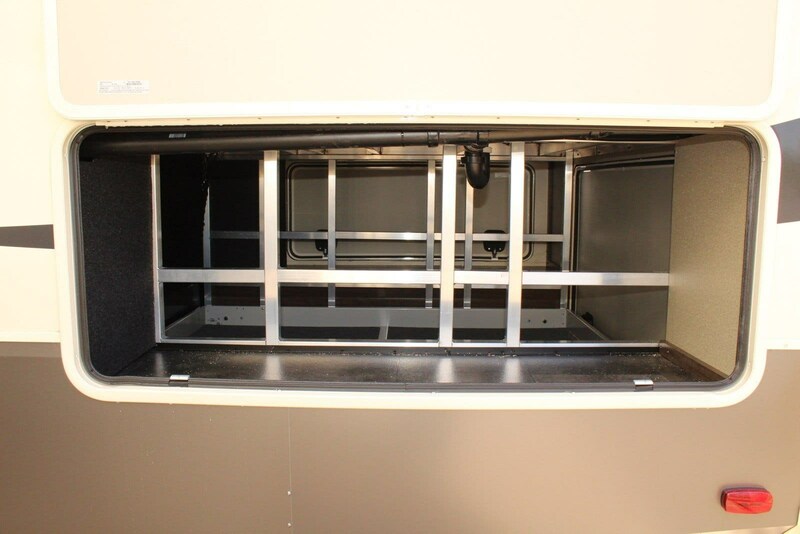 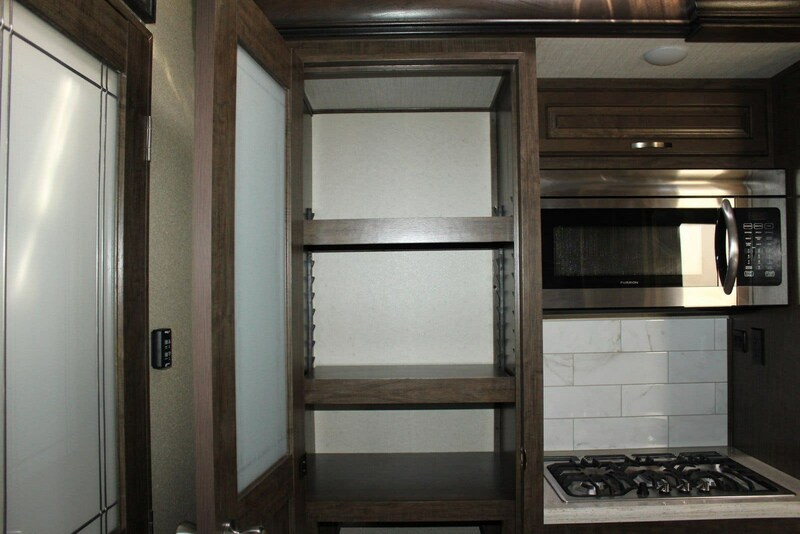 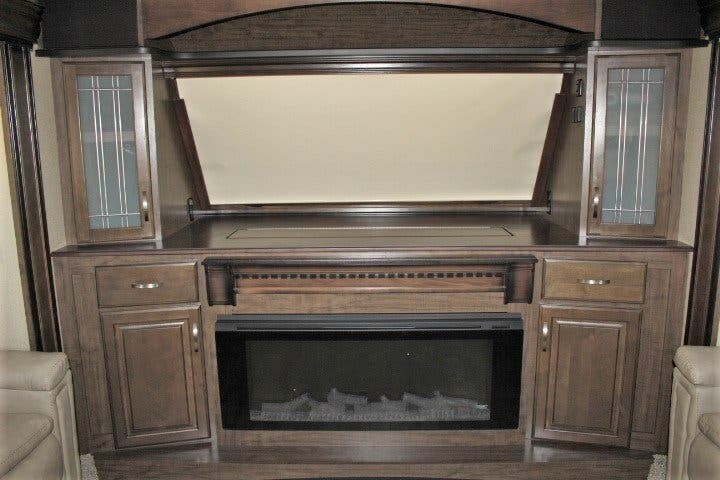 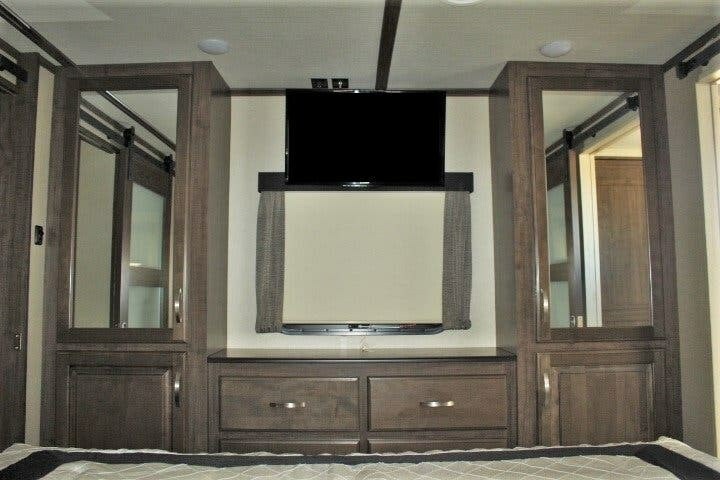 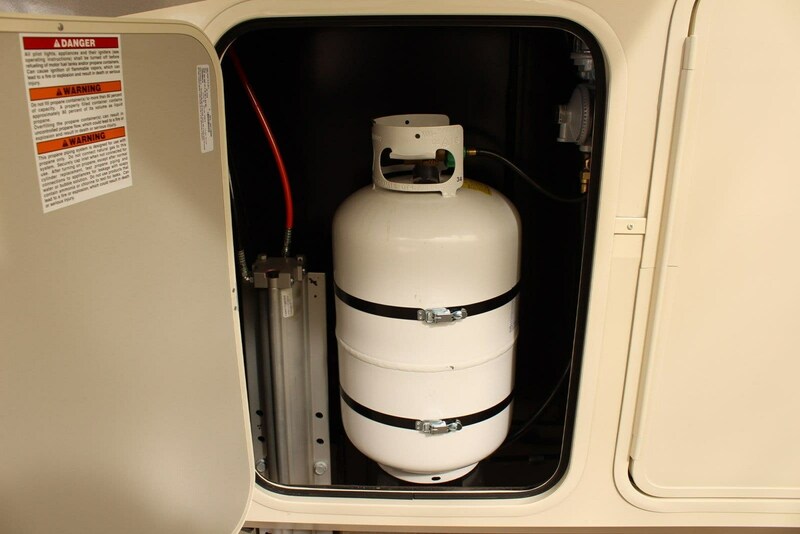 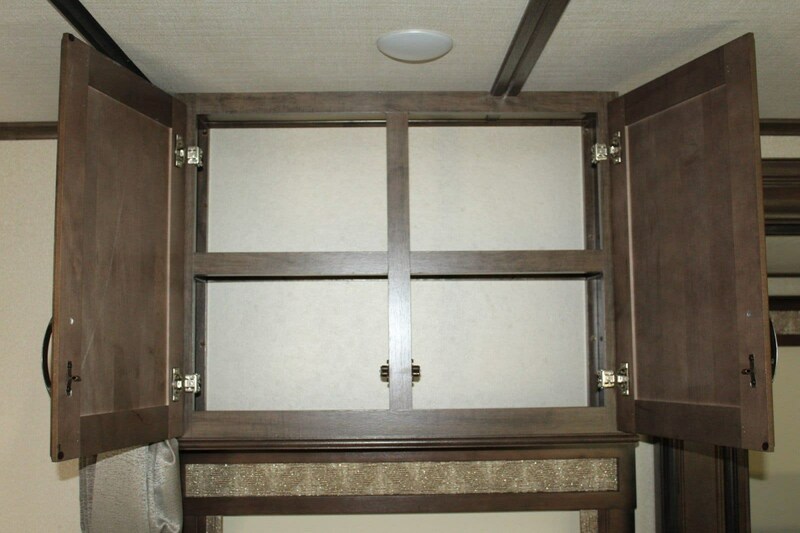 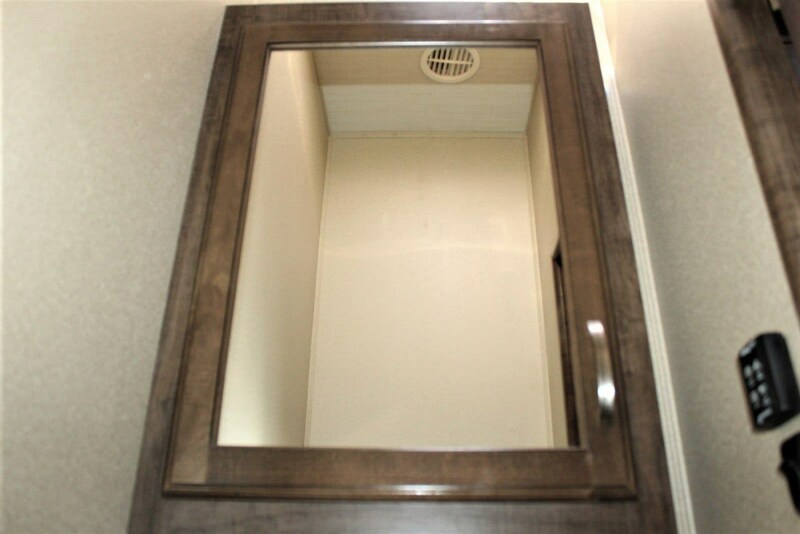 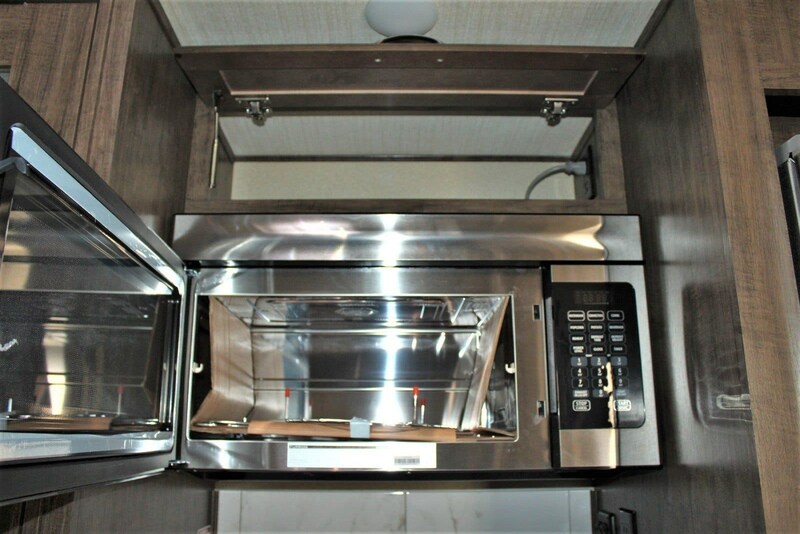 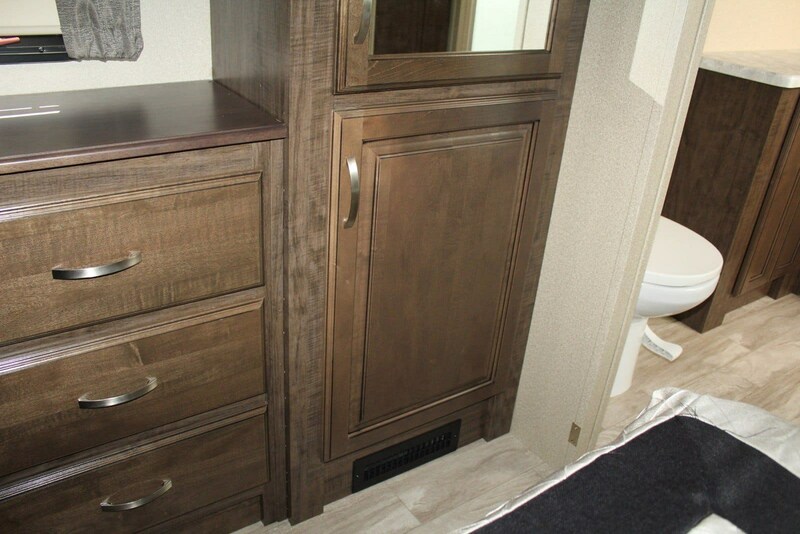 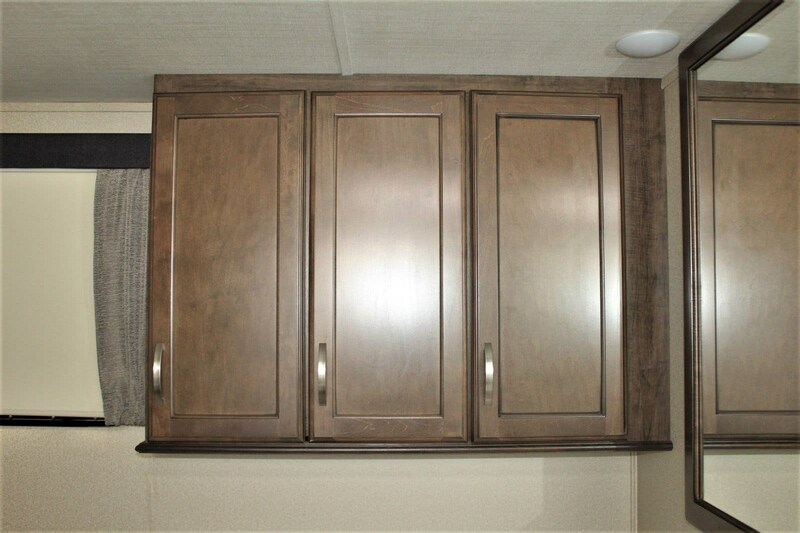 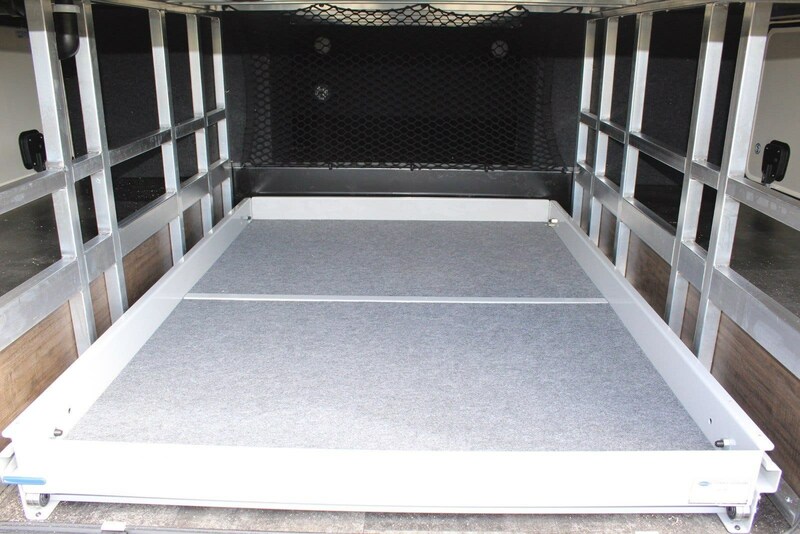 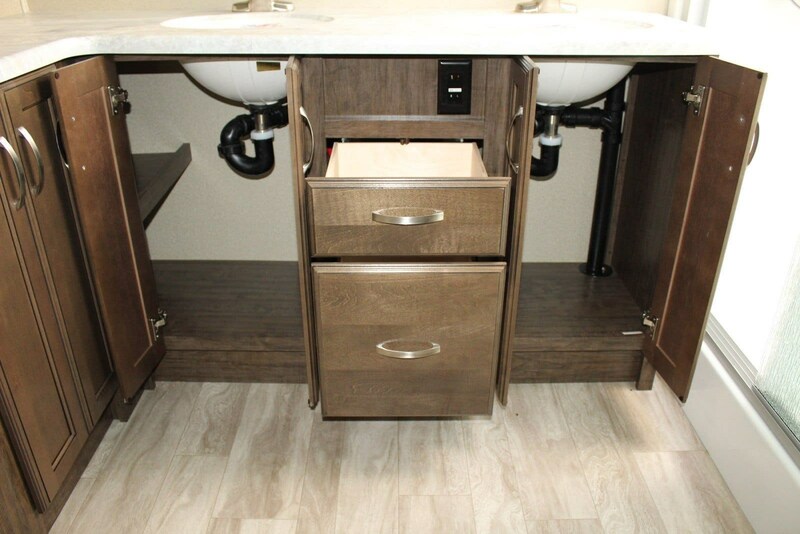 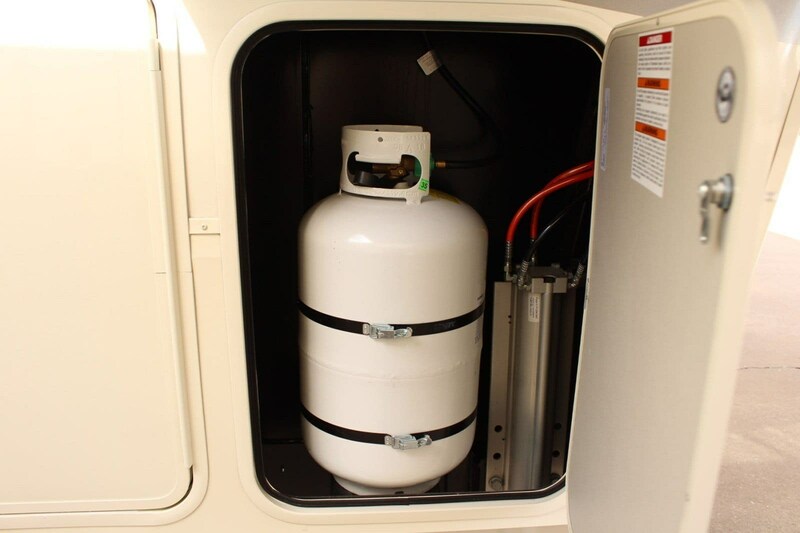 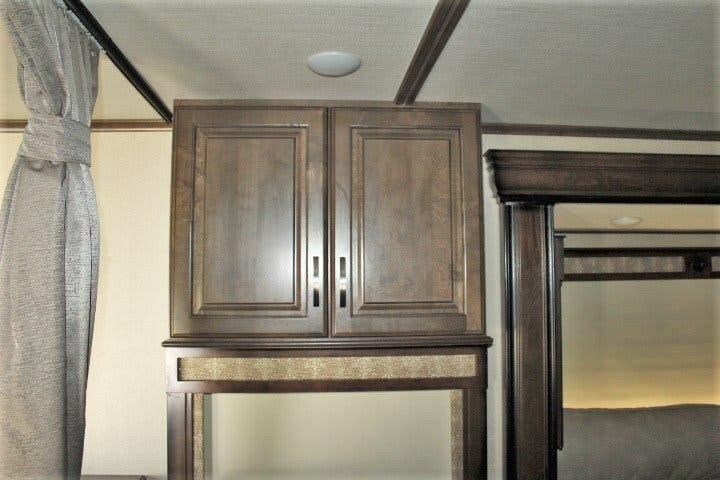 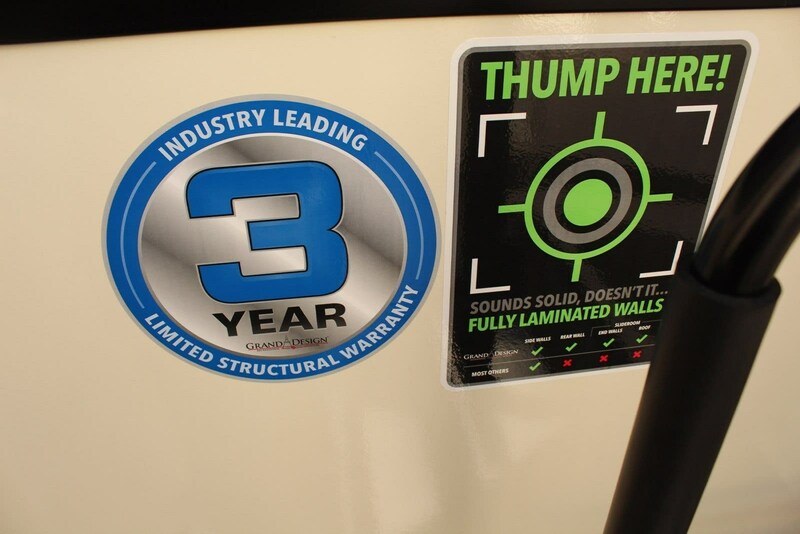 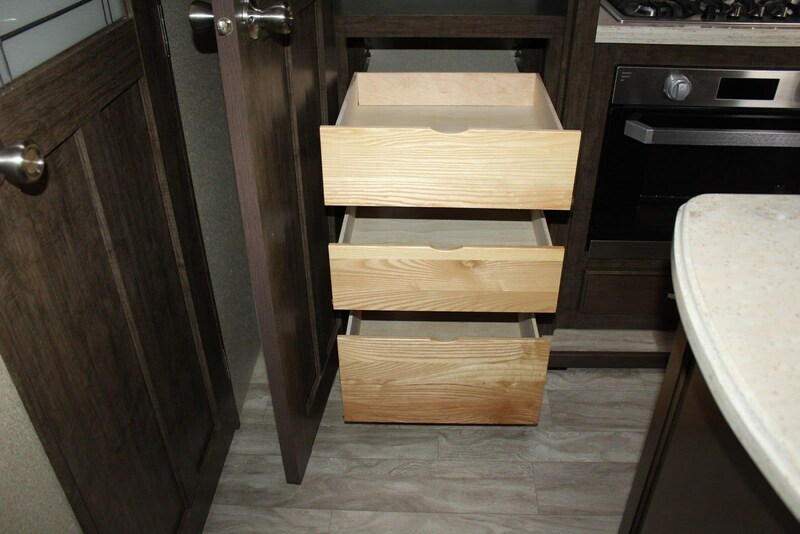 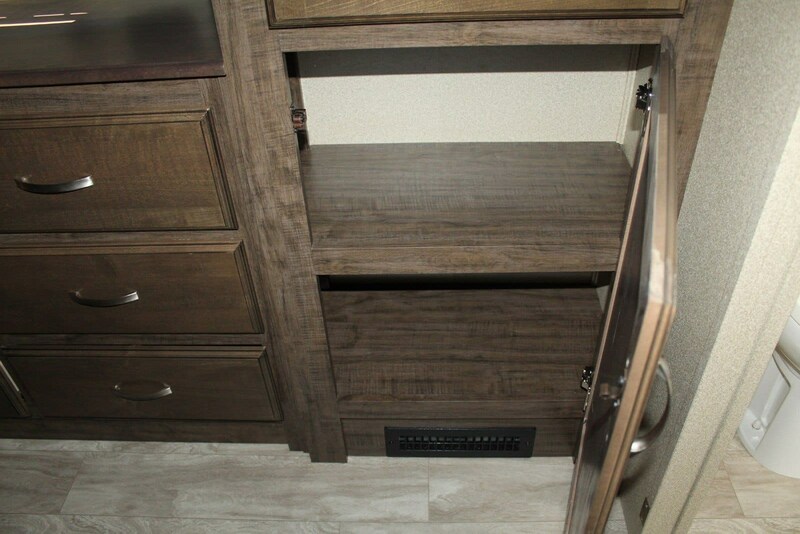 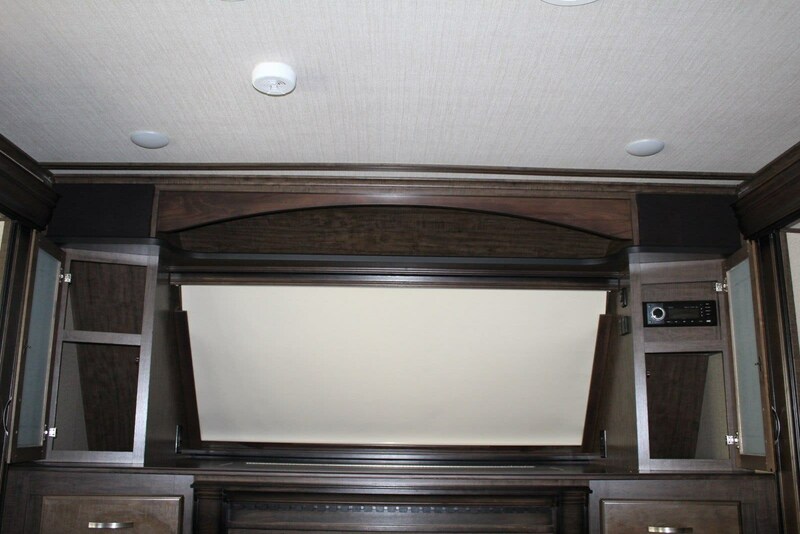 There are overhead storage cabinets above the bed.The rear of this fifth wheel is the HUGE master bathroom! 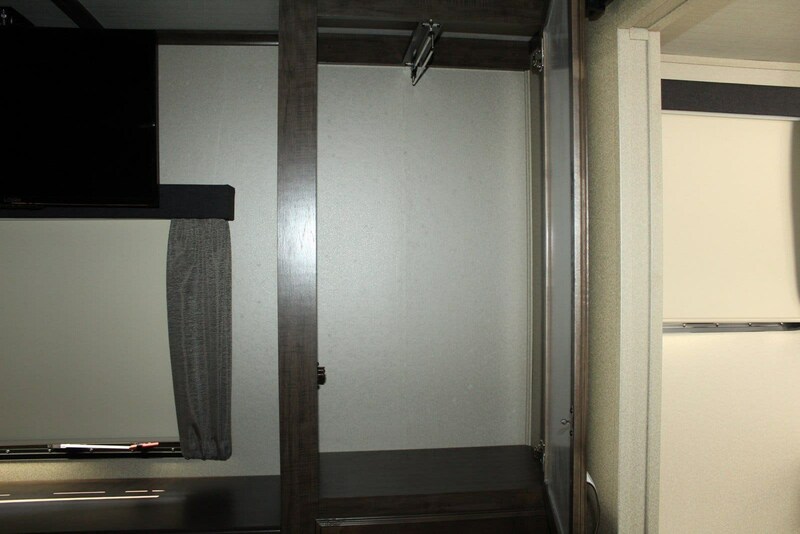 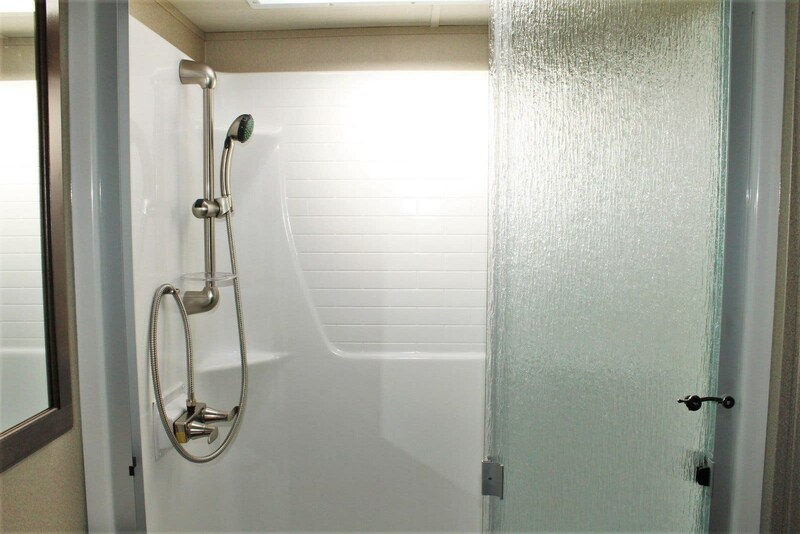 To the left is the toilet and cabinet space, straight ahead is the his and her sinks, mirror, and cabinets, while on the right is the shower and linen closet. 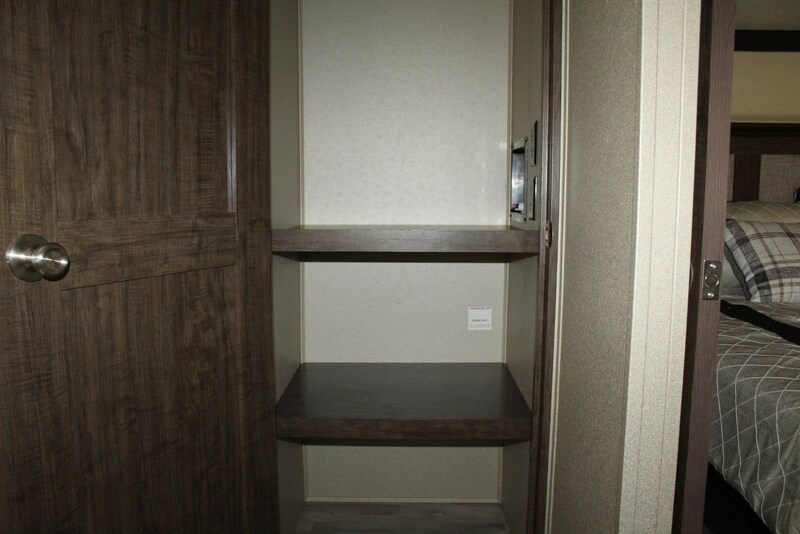 The linen closet is also washer/dryer prepped! 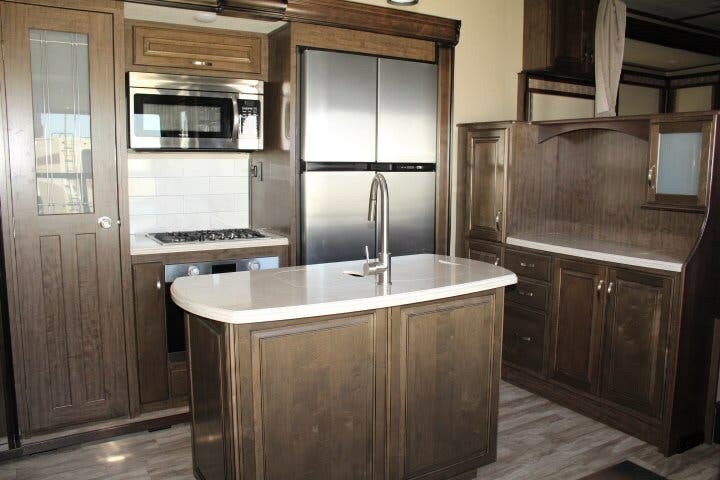 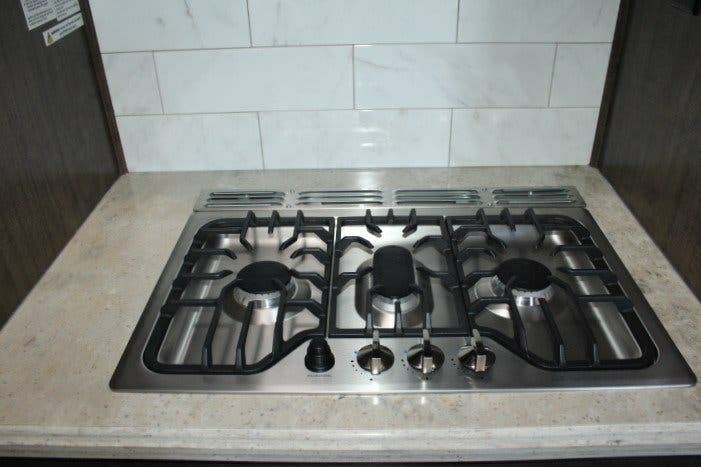 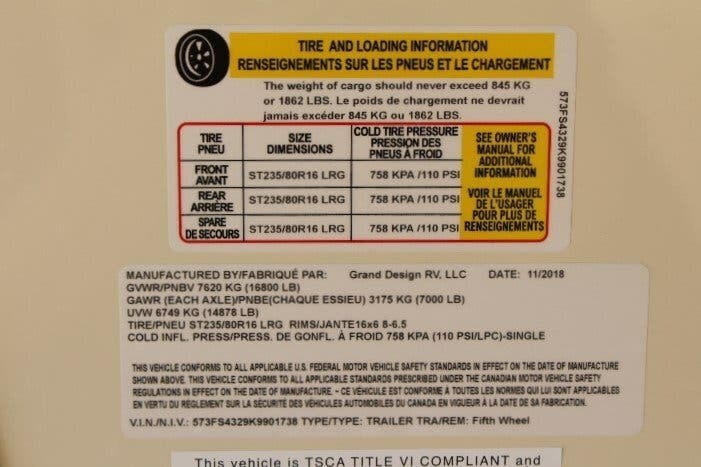 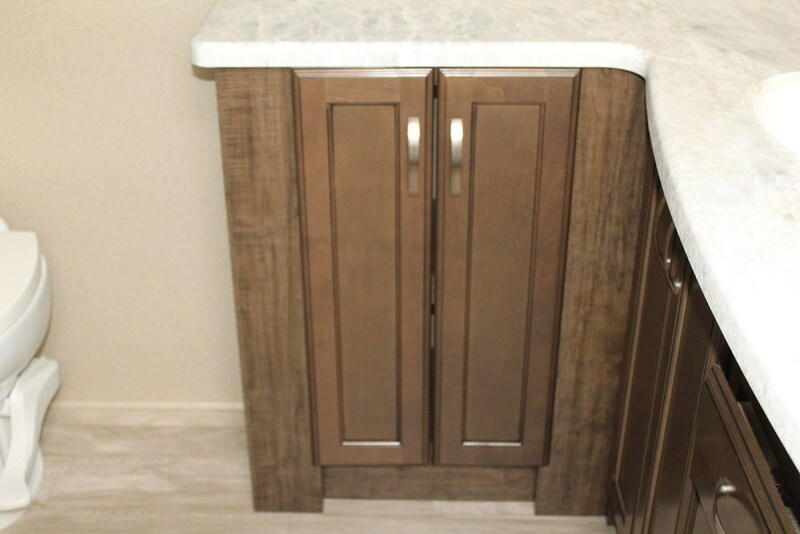 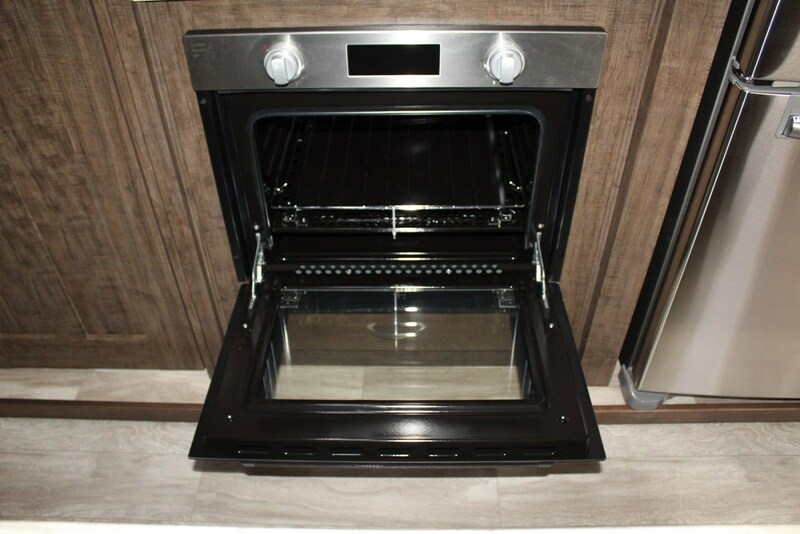 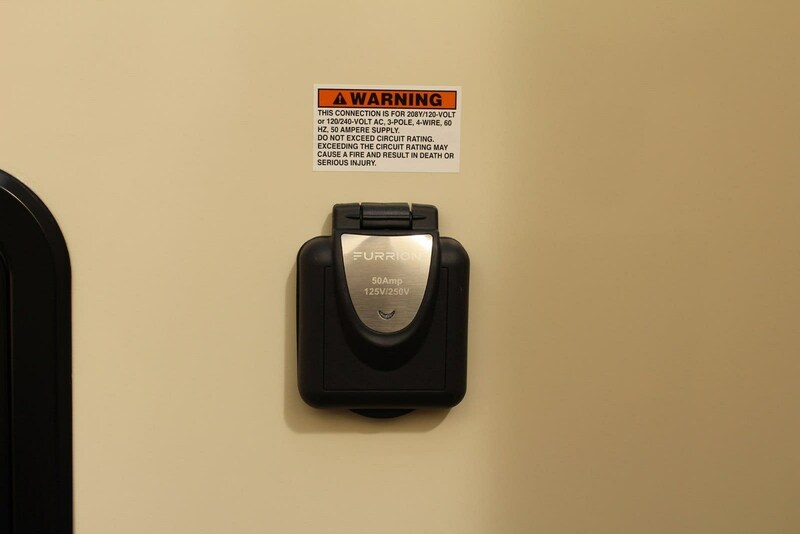 Check out Stock # 89867 - 2019 Grand Design Solitude on granddesignsource.com!